FAB is working to improve cycling in Sioux Falls and encourage more people to ride bikes. While supplies last, donate $25.00 towards FAB's 2019 bicycle initiatives and score a Sioux Falls Flag t-shirt! 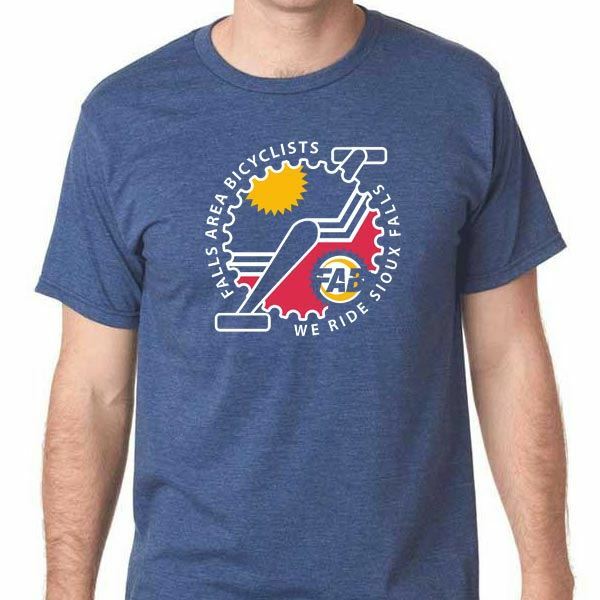 This comfy tri-blend shirt is available in heather blue and will become the envy of all your bicycling buddies. Thank you for your support! You can choose to pick up your shirt at our local bike shops. We will let you know when it is ready to pick up. Receive a Sioux Falls flag t-shirt with a donation of $25 or more. Include shirt size information here if you have included an extra amount for additional shirts. How would you like to receive your shirt(s)? How would you like to receive your shirt?